The people who rely on Herbert F. Allen III’s financial advice aren’t just clients — they’re also friends. 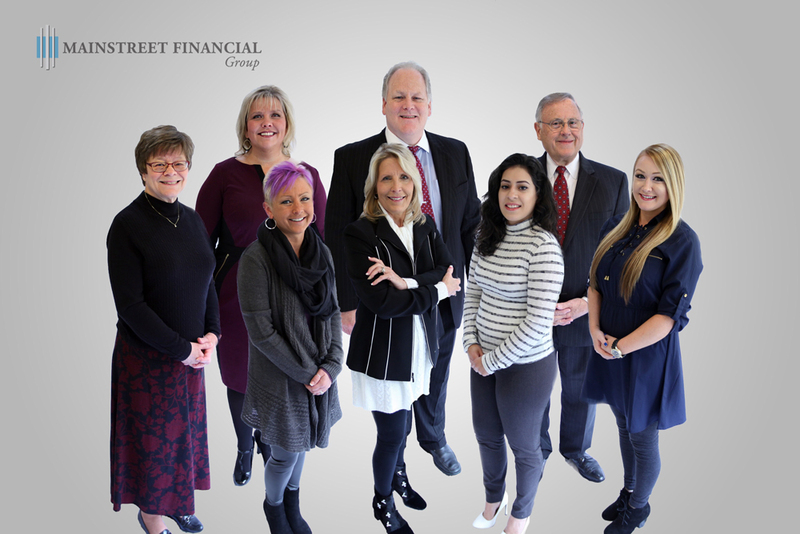 The owner and CEO of MainStreet Financial Group is committed to providing them with financial education and a variety of products and services that can help them build a secure future. He advises clients in the areas of wealth management, executive business planning, personal retirement strategies, and legacy planning. Herb has earned advanced graduate degrees in human services, management, and psychology. He holds membership in a wide variety of financial organizations, including the Financial Planning Association, the International Association of Registered Financial Consultants, and the National Association of Christian Financial Consultants. He has also served as a state director of the Illinois Association of Insurance and Financial Advisors. Traveling is by far his favorite pastime — his top places to go are Ireland, Hawaii, Key West, and Colorado. He and his wife Pamela share the hobby of geneology; they have fun visiting graves and former homes of Herb’s ancestors in several states, as well as Ireland. They also enjoy attending performances and supporting the Rockford Wind Ensemble, Rockford Symphony Orchestra and the Music Academy of Rockford. Interested in hearing more about Herb and his background? Jennifer Zalapi has a gift for connecting with people, and that’s what landed her a job as director of marketing at MainStreet Financial Group. In her role, she supports company owner Herb Allen in all facets and stages of the financial process. She also works in business development and plans educational workshops and fun events for clients. She encourages clients to reach their goals by starting with small steps, such as tracking their spending for three months to observe their habits, and establish a budget that includes saving something from each paycheck. She has three sons close in age, all of whom are wrestlers, and loves attending their sporting events. She and her husband enjoy frequent date-nights: dinner with friends, visiting craft breweries or listening to live music. Clients who have questions or specific needs can rest assured that Stacy Gustafson has the answers they seek. As director of operations and client services, she handles requests such as withdrawals, contributions and beneficiary changes. She also makes sure clients take their required minimum distributions from their retirement accounts. Her meticulous organization is a major asset to all MainStreet Financial Group clients. Stacy spends many weekends between April and October at her camper in Prairie Du Chein, Wisconsin, with her husband and two daughters. At home, she enjoys spending time at her workbench being creative — restoring furniture, making crafts, crocheting, sewing, or painting. After completing a financial services internship in high school, Lizy Castillo discovered she is passionate about helping people plan for their future. At MainStreet Financial Group, she is a new business and client services associate. Lizy facilitates a seamless and stress-free transition for new clients, as their investments move to MainStreet’s management. Lizy is a great example of two of the most important financial planning principles: She is actively saving for her future and makes it a priority to eliminate debt. She is attending Northern Illinois University, where she’s a junior majoring in business. In her free time, she finds great joy in party planning and decorating to a theme. At home, Lizy enjoys spending time with her daughter, her boyfriend of many years and their pets — a dog and two birds. When MainStreet Financial Group clients interact with Taelor Gentner, they know they are in good hands. Taelor is the business’s receptionist, and she helps everyone who walks in the door feel safe and secure. She knows just how important it is to find a trustworthy financial planner, so she does everything she can to make the process seamless for clients. Taelor was born in Rockford, but she spent most of her childhood in South Beloit. She moved to Florida for a year, where she finished her high school education at the top of her class. She’s thrilled to be back in Rockford, where she finds great joy in taking care of her home, expanding her cooking skills, working out at Peak Fitness, and spending time with her young daughter Aryanna. In the spring, she’ll continue her education at Rock Valley College. When MainStreet Financial Group clients need extra support or compassionate care, Pamela Allen is the right woman for the job. As director of client care, she visits clients in the hospital, sends care packages, write encouragement cards and coordinates lifestyle changes. Pamela “married into” the financial planning business (her husband, Herb Allen, owns and operates MainStreet Financial Group), and she has seen firsthand the passion and dedication that the team has for its clients. She is able to complete the partnership between the business and its clients by caring for their non-financial needs. Raised in Yorkville, Illinois, Pamela is happy to be settled in Rockford and maintaining relationships with so many clients. Away from the office, she loves traveling with her husband for both business and pleasure, genealogy, decorating, and spending time with her mom, who lives with her and Herb for half of each year. For Judy Kunz, financial services are a way of life. As assistant to the president in client services, she wants clients to understand that they should reallocate their accounts every year in a timely manner, and urges them to watch their ages to ensure they take their required minimum distributions when it is time to do so. She encourages clients to evaluate whether their spending habits are wants or needs, have a savings account for emergencies, and see a financial planner at least once a year to make decisions for the future. Raised on a farm in Rockton, Illinois, Judy has lived in Rockford her entire adult life. She is an active member of the Rockton Women’s Club and loves studying genealogy — getting to know distant relatives through that discovery process and helping others learn the ins and outs of how to trace their families. She’s having a great time taking care of her two young granddaughters in Rockford (she also has five grandchildren in Colorado). She also enjoys antiquing with her husband, Fred.